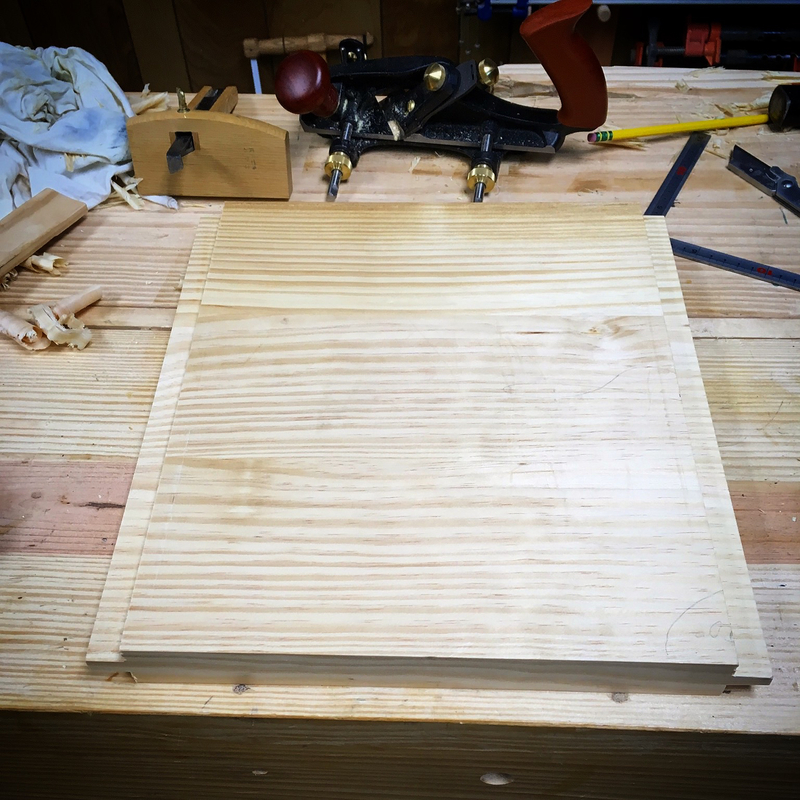 At the end of my last post I had readied the field portion of the work board, replete with the required tongues for the breadboard ends. 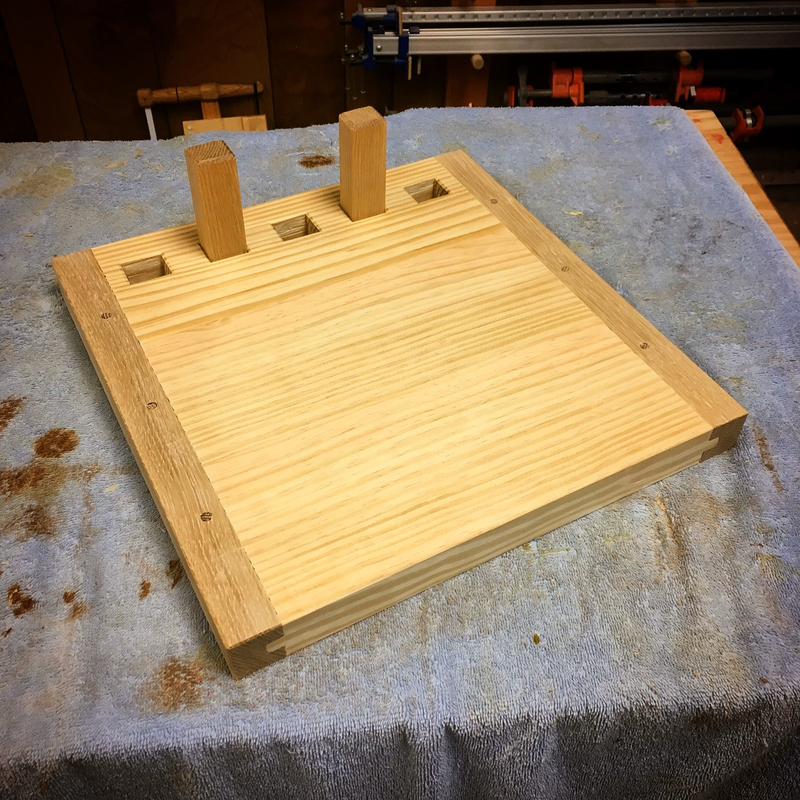 Knowing that work on this project would be stretched over a week or so and given the crazy weather swings as of late, I wanted to get the clamp portion of the breadboard ends completed as quickly as possible. 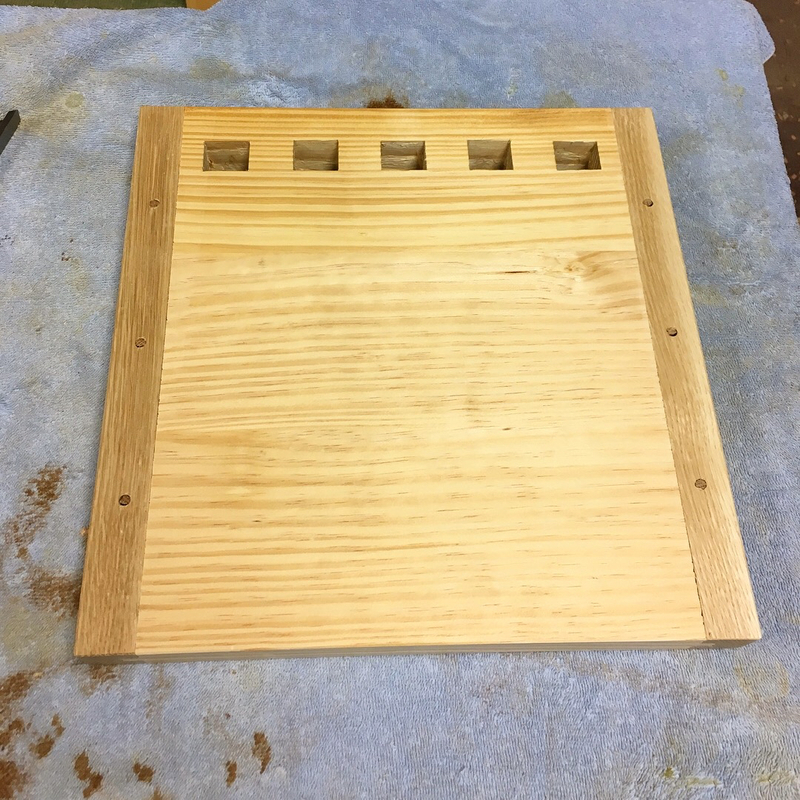 Even if not fully fitted, I could install the clamp boards onto the tongues at the end of each work session and mitigate any cupping of the field board between sessions. 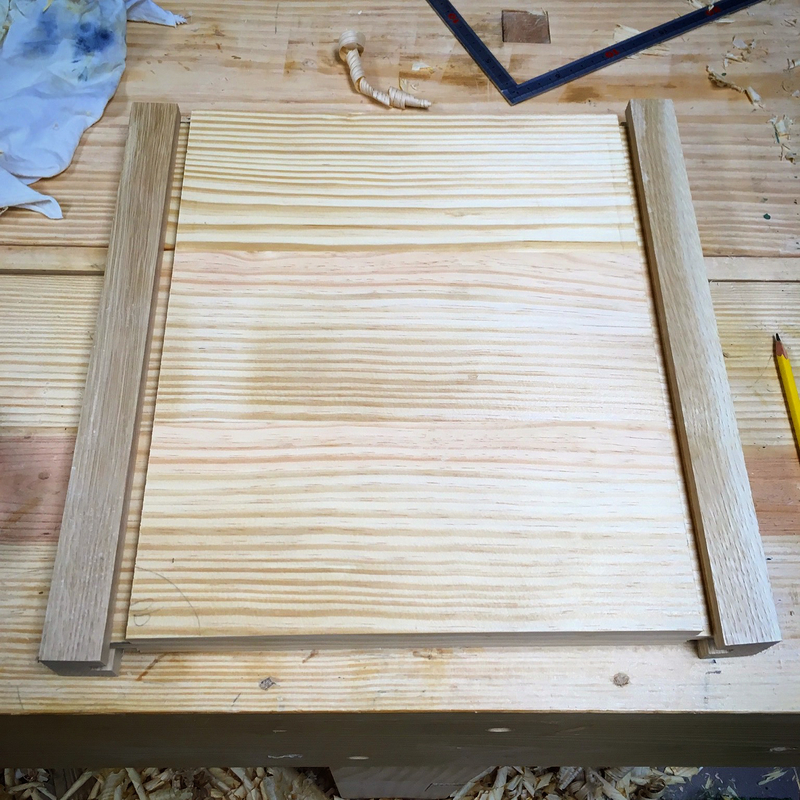 The clamp boards are fairly straight forward. Mill them close to final size, plow the required groove and chop a few mortises. The key points here are to cut them long and mill them a bit fat. The extra length provides an area to hit with a mallet to remove them during the fitting process. Leaving them a bit fat makes planing them flush to the field board much easier. At any rate, I made these from white oak. After planing them square, I installed the required groove. My plow plane is a Record 043 and this groove is just about its limit, but it did the job. The next bit was to trim the tongue to created the tenon areas that travel deeper into the clamp boards. The newly established tongue locations were then transferred to the clamp boards and I chopped the mating mortises. The center mortise I made snug, the outer two mortises I chopped with extra width to allow for expansion and contraction of the field board. 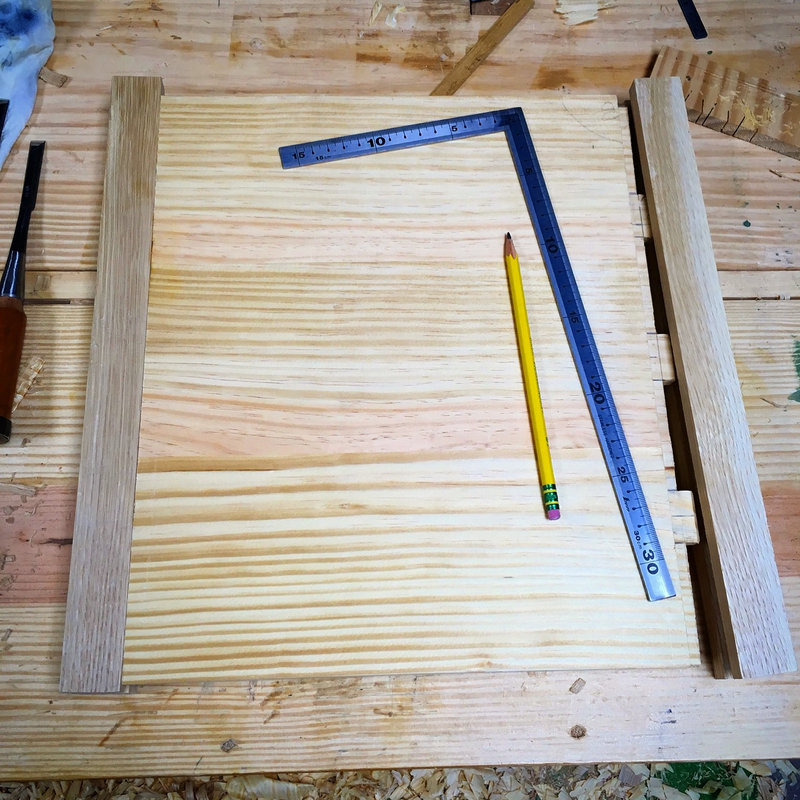 Before permanently installing the clamp boards, I chopped the mortises for the movable fence blocks. After laying out the locations, I bored out the bulk of the waste and finished with chisel work. All of these needed to be exactly the same size, square and plumb. 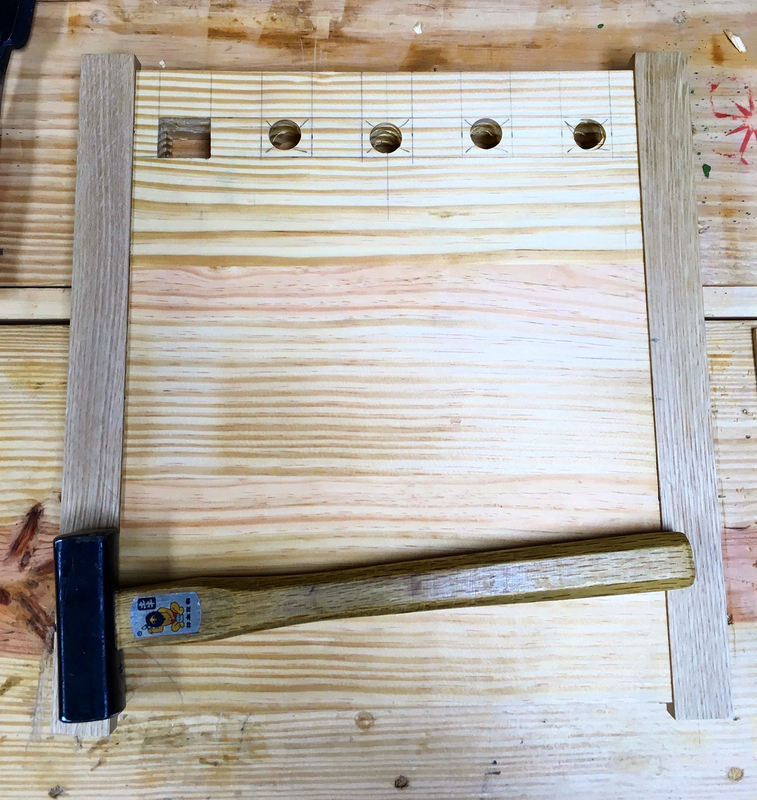 The clamp boards were then installed and secured with drawbore pins. Then trimmed and flushed. Finally, I fashioned the two fence blocks. Here is the newly minted work board in action. 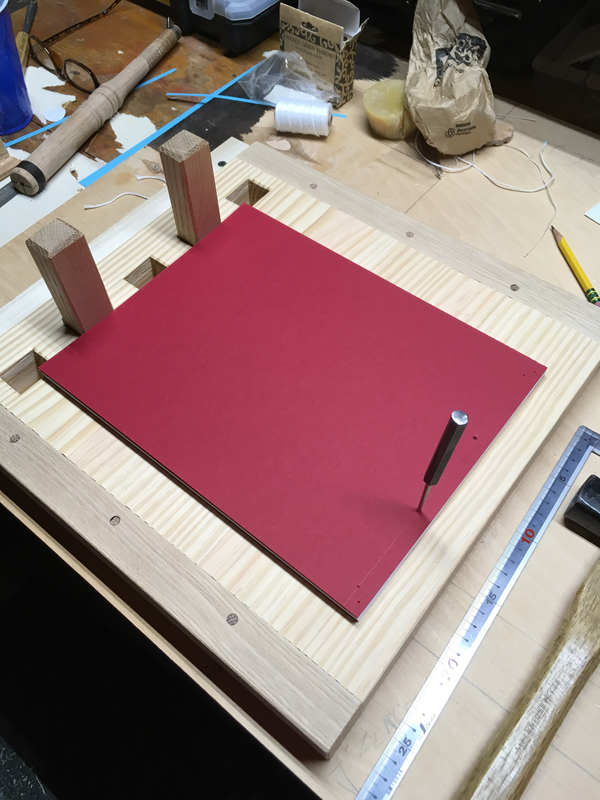 The work board isn’t required for this type of bookbinding, but it makes the process a bit easier. Plus, building one is a good skill building exercise for the woodworker. 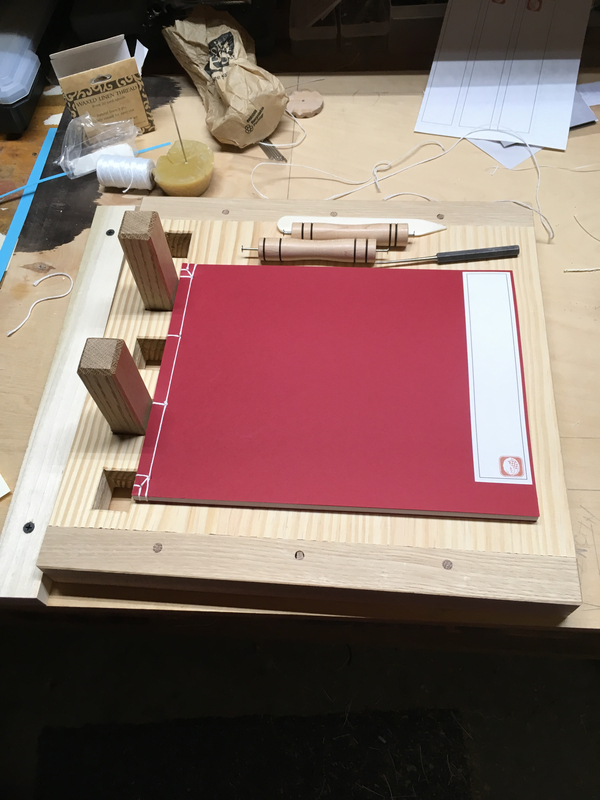 This entry was posted in Bookbinding and tagged breadboard, drawbore, japanese bookbinding, tongue and groove. Bookmark the permalink. 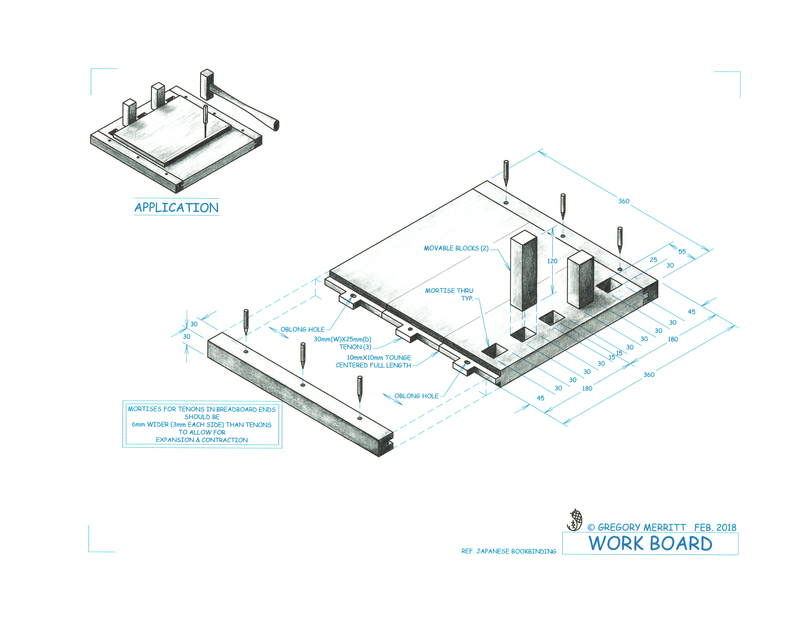 The proof of the board’s value is in the neatness of the books you can produce. Gorgeous! I appreciate that Bob, thank you. These books are quite satisfying to make.